Python offers a stepping stone into the world of programming to design your web apps. Hire Python software programmer on the contract basis (time/project basis) for building easy, useful, and powerful web applications.  Hire Nimap developers to customize your application into the way you desire. Be it a small, large, online or offline application, choose your style to drive your business purpose and goals. With Python, you can automate your task into a more easy and simple way. It helps you build strong web applications solving your real-life problems. Python being an open source programming language with the newest trends helps you create various video games using module Pygame. Nimap outsources and provides you Python development environment to timely maintain your applications. Our developers provide initial support to clients designs, giving real-time and fastest features. Pythons consistent English-like commands make it much easier and preferable language to build machine learning algorithms for advance development of your applications. Well defined web services, Python API’s with easy and excellent libraries helps you gain popularity with good data analysis. Our team manages clients data in the systematic, strategic and integrated way. By using new software development kits we leave no risk of disclosing your idea to any third party organization. Our Python developers provide you immense support to maintain your application. We respond to all your queries and issues providing you better client satisfaction. Hire dedicated Python developers who help you figure out feature-rich e-commerce solutions to sustain your needs and grow your web product application. Nimap provides best possible stability, operability, and functionality in Python app programming giving you 100% satisfaction. We explore and go every extra mile to give you the content result. Hiring Python developers from Nimap help to add convergence of efficiency, functionality. Responsive UI/UX, app performance optimization and sheer excellence to your Python applications. 1) Nimap also allows their clients to hire our dedicated developers for full-time. 2) We train our developers skillfully in order to demonstrate an outstanding result We share experienced PHP developers to work for your firm who has been rated 4.5 / 5.0 by 150 Clients. Why Hire Python Developers from Nimap Infotech? Django is a free open-source full-stack Python framework. It tries to include all of the necessary features by default as opposed to offering them as separate libraries. Web2py is a scalable open-source full-stack Python framework. Bottle is a microframework. Originally meant for building APIs, Bottle implements everything in a single source file. It has no dependencies apart from the Python Standard Library. Coding with Bottle gets you closer to the metal than coding with any full-stack framework. CherryPy is an open-source, minimalist web framework. It makes building Python web applications no different than building any other object-oriented program. Niamp`s clients and their results are the best proof that our methodologies work. But we’ve also received numerous awards and praise from the media and our peers. 1. What are step to hire PHP developer? In Nimap , we allow you to have thorough interview process and hire dedicated developer of your choices. 2. Why Hire Dedicated PHP developer?